Islamabad United is one of the top contender in Pakistan Super League and they have won the title in the inaugural season. And in the last season, their performance was also good but failed. In the 3rd and current season of Pakistan Super League United started the season impressively and everyday they are moving towards the title. In the 25th match of the tournament, they faced the newborn team named Multan Sultans at Sharjah Cricket Stadium. There Islamabad United won by 33 runs against Multan Sultans. On the other hand Multan Sultans played very good in the whole season but at the end of the season, they have faced several defeats in the competition. Against Islamabad United, the match was so competitive and Sultans had the ability to win by chasing score. However, United did present a very good score which was 185 runs in front of Multan and so opponent had to keep their force on and dominated the bowlers. They started the innings very good but at the end, they could not bring good finish there. 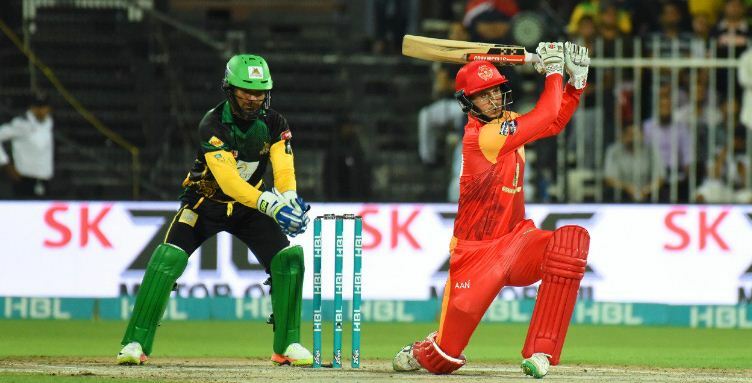 In 13th March, 2018 the 25th match of the ongoing season of Pakistan Super League was executed where the match was between Islamabad United and Multan Sultans. At United Arab Emirates the match was staged and the host venue was Sharjah Cricket Stadium, Sharjah. Aleem Dar (Pak) and Rashid Riaz (Pak) were the two field umpires in the match. Multan Sultans got the favour of winning the toss and they decided to bowl first. So, Islamabad United came to bat and with the good start with Luke Ronchi, United ended their innings scoring 185 runs in 20 overs. They just lost four wickets where Umar Gul took two wickets for Sultans there. Ronchi scored 58 runs highest for the team. Later, Multan Sultans started to chase the score. Basically chasing 185 runs in T20 competition was not an easy but it was getting heavier when they started to lose wickets. In 19.1 overs Multan Sultans lost all wickets and scored 152 runs so far. Kieron Pollard played really well and faced 47 balls. He scored 73 runs so far. But finally could not save the match. Samit Patel took two wickets for United. Through the victory Islamabad United qualified for the playoff round in Pakistan Super League 2018 as one of the four team.